Online ordering has been upgraded to include the following: Review previous order, repeat previous order, repeat and modify previous order. For information relating to online ordering and to get your unique username and password please contact our sales support team on sales@packtechmoulding.co.nz or alternatively contact us on (03) 9822888. Pack Tech Moulding Limited is the preferred Green Cross Health supplier for pharmacy packaging. 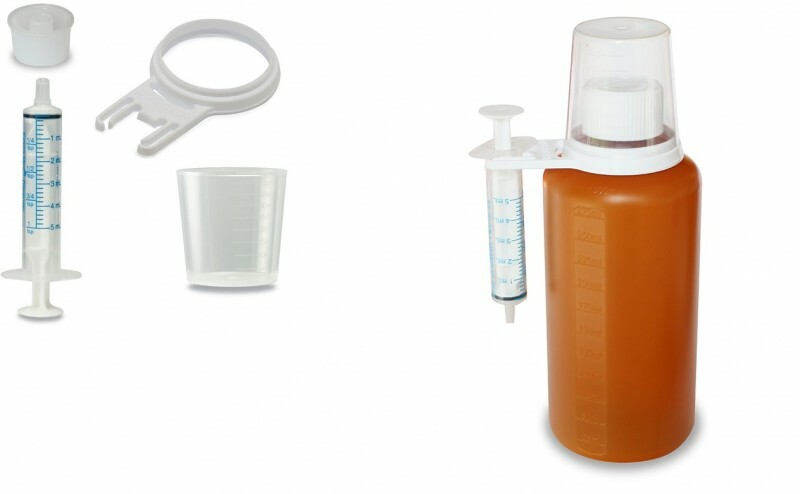 Dispensing Kits - 5ml and 10ml, includes Bottle insert, Syringe Holder and Exacta Syringe.